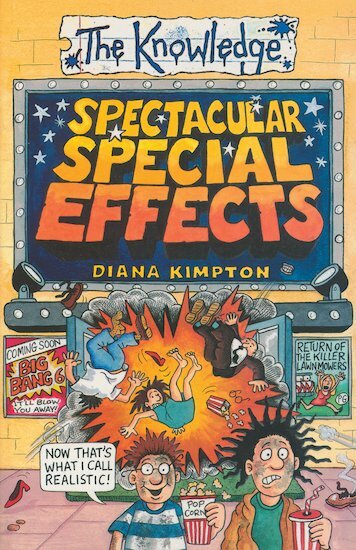 Discover the sensational secrets of special effects, and find out how to make any event go with a bang! From the million-dollar computer magic in blockbuster movies to spectacular effects that you can use in your own school play, these stunts and tricks mean audiences won’t believe their eyes! This book is very cool. It has lots of information and tips and ideas and gives you ideas of what you could do. it is very interesting and quite scientific as well. I am a huge fan of this non-fiction book! It was really fascinating to see how movie makers went about performing special effects and there were plenty of facts in there (as well as humour!). I learnt a lot from it and would recommend it to anyone who likes a laugh. I think its a great way to deliver fact and information through jokes and illustrations!